Hanna Nguyen is on the varsity swim and cross country team. 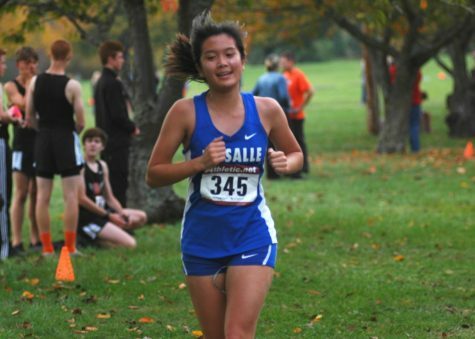 Hanna Nguyen has participated in both swimming and cross country during her three years at La Salle. She has been on the varsity swim team since freshman year and the varsity cross country team since sophomore year. She excels in swimming because she is confident in her ability and has accomplished a lot, as she has made it to state freshman and sophomore year. The biggest challenge Hanna said that she faces is pushing herself to improve her times during swim meets. “I always want to improve my time, so it can be kind of disappointing when I have a bad [race],” she said. “People always have [bad races], but when you put yourself on that level, it’s hard to… disappoint yourself and not meet the expectation,” Hanna said. For the 50 freestyle Hanna has a time of 27.8 seconds and for the 100 backstroke her time is 1 minute and 12 seconds. 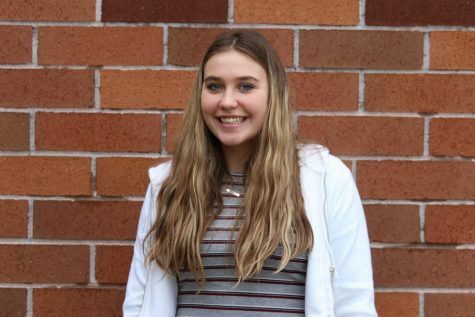 “My goal specifically, is to get under 27 seconds for the 50 freestyle… and I really want to make it to state as an individual and also make it to state on a relay team,” Hanna said. 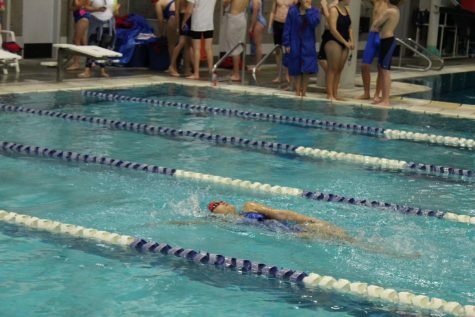 Hanna Nguyen swims the 100 backstroke in a meet against Hillsboro on Dec. 7. Next year, Hanna is planning to continue swimming for La Salle and she also hopes to continue beyond high school. “If I become fast enough, I would definitely want to do swim in college,” Hanna said. In addition to swimming, Hanna has been running cross country since she was in seventh grade. 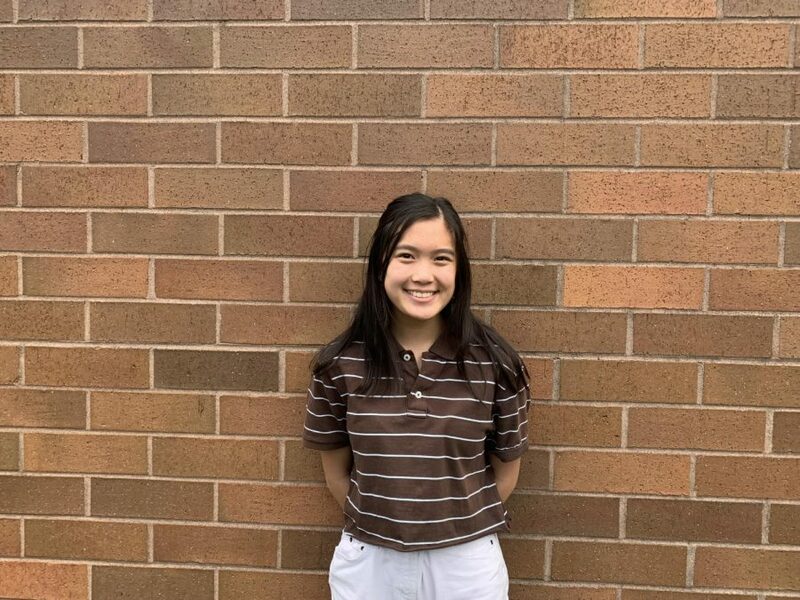 “This year for cross country I would say my biggest achievement was breaking 24 minutes this year as a junior,” Hanna said, having achieved a 5K time of 23 minutes and 37 seconds. She hopes to get her time down to 23 minutes eventually. Hanna’s personal best for the 5K is 23 minutes and 37 seconds. While some student athletes may find it hard to keep a balanced schedule of after school activities and homework, Hanna finds she does better in school during swim or cross country seasons. Staying motivated in sports is easy for Hanna. Mary Tamashiro is a junior at La Salle. On the weekends she enjoys going out with friends and shopping. 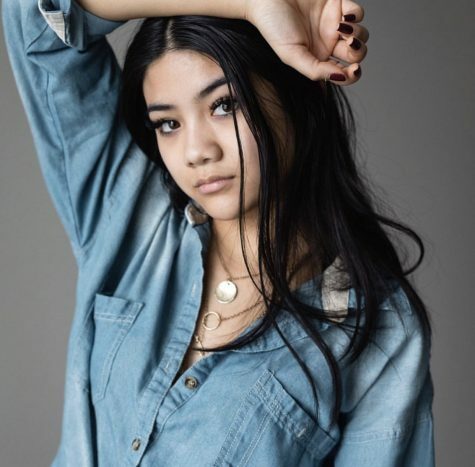 Her favorite place in the world is New York City. CONGRATS HANNA!!! I’ll see you in the pool and at state!!! We will get there… I believe in us;) state here we come!